Fresh from a schedule revamp and the launch of a new glass box studio, Sky News has now announced changes to its business studio location. 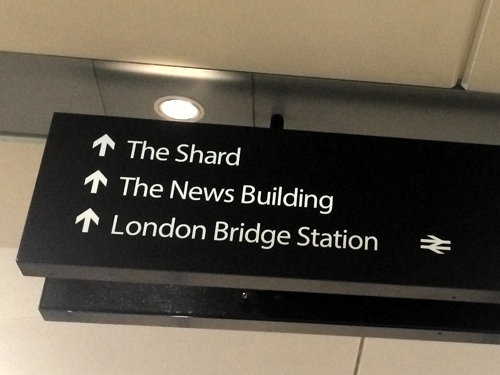 In December the channel will start broadcasting from a new business studio in The News Building at London Bridge, the building formerly known as the Baby Shard, which is also the new home for Rupert Murdoch's News UK newspaper business. The new state of the art studio, based on the 14th floor, will be home to Sky News’ flagship business show, Ian King Live, which airs Monday to Thursday at 6:30pm, providing a long-term replacement for Sky's former City studio in The Guerkin, which it vacated earlier this year. The new studio promises to offer a "stunning backdrop" over the City and will also serve as a hub for the Sky News business unit and it will be used by key members of the team including City Editor, Mark Kleinman and Economics Editor, Ed Conway. "As the challenges of Brexit and the changing economic story unfolds, our commitment to invest in a new studio dedicated to our business coverage will ensure our specialists and contributors are best placed to bring viewers all the latest news and analysis that matter to them." "Our new home in the Baby Shard places us in the heart of Europe’s biggest financial centre as the UK economy grapples with the opportunities and challenges created by Brexit, allowing us rapid access to all the important players that will be shaping the story. It’s going to be thrilling." The announcement of further changes to Sky News follows last month's launch of a new glass box studio at Sky Central in Osterley. Some viewers have complained about the poor acoustics in the box, which is being used for a number of key weekday news programmes. The old studio continues to be used for other programmes.